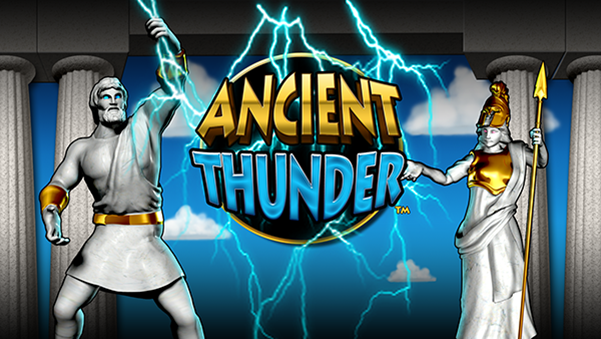 Ancient Thunder is a standard Keno game utilizing an 80 spot. The base game features a wheel bonus, free games, a 2X multiplier, and extra hits possible. 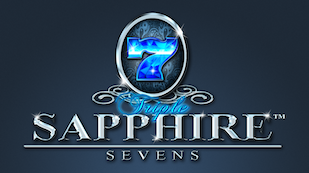 Free games feature a wheel bonus, additional free games retrigger, a cumulative increasing multiplier, and extra hits. For all base and free games there are 4 bonus groups. The Bonus groups are broken up and randomly placed on the Keno grid at the beginning of every draw. Action awaits in this treasure hunting adventure! Hit the three spinning pyramids to unlock the bonus round. Crack open the vault doors to reveal the multiplier treasures within. Once those great stones have moved and the multiplier numbers are revealed, you ascend to the bonus game to gain all the loot you can during Free Game play. 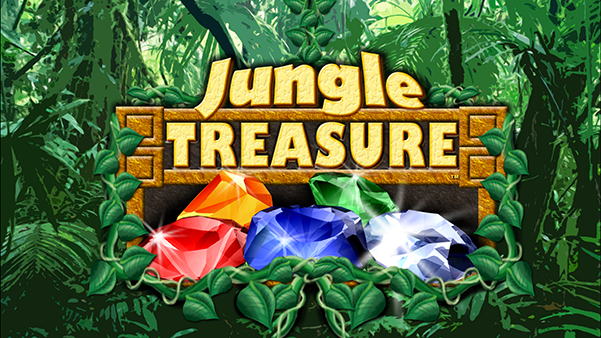 Jungle Treasure Keno is a standard 80 spot keno game with a 20 number draw and multiplied bonus games. The first 3 player picked spots are the bonus triggers. When all three bonus spots are hit with a win, the “Jungle Treasure Bonus” is triggered. The player chooses 5 out of 11 objects for multipliers. During the bonus games, a “Gem Spot” is placed randomly on a non-player-selected spot. All wins will be multiplied by that gem’s corresponding multiplier until the gem spot is hit. The bonus games end when all 5 of the gems have been hit. 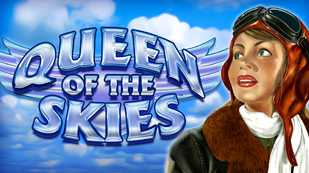 Hit the last number on the draw with a win and kick this game into cosmic overdrive with a 4x multiplied Paytable! 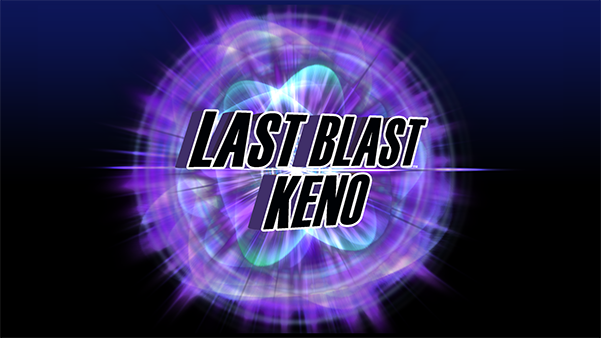 Last Blast Keno is a standard 80 spot keno with a 20 spot draw. 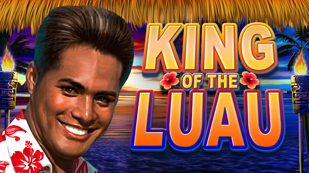 The player is awarded a 4 times multiplier for all wins with a player-pick hit on the last number draw. Take that dream vacation you’ve always wanted to. Tropical Vacation Keno’s clean sandy beaches where the weather is always perfect and the drinks are forever cold. 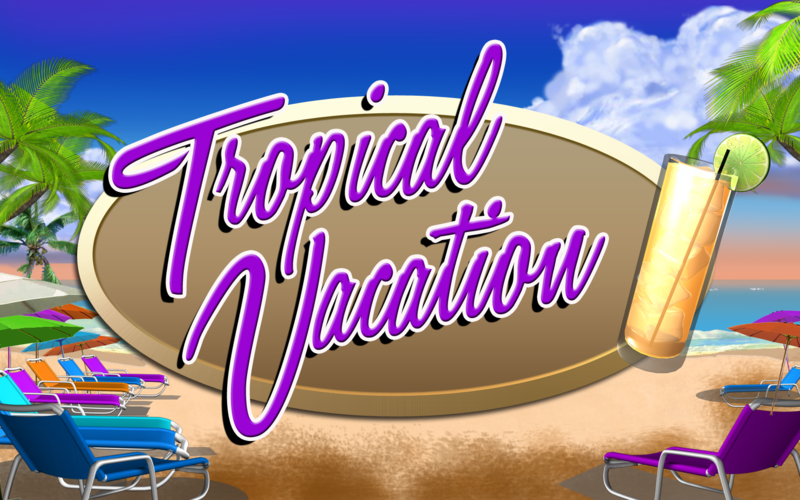 Tropical VacationKeno is a standard 80 spot keno game with a 20 number draw and multiplied bonus games. Hit 3 or 4 Turtles with a win and trigger the Tiki Bar Bonus round! Belly up to the Tiki Bar and pick your 4 favorite objects from an array of 12 that correspond to multipliers that you will play for during the Bonus. Those objects will be tossed onto the Bonus grid and their corresponding multipliers will be summed as they are hit and shown on the paytable. Any wins during this accumulation are multiplied at the level shown. Once all the objects are hit and the multiplier is at its highest point the final games are played and wins multiplied at that level. A BAR CLOSED sign is then added to the grid. then it’s back to the beach when it’s hit. Thundering hooves and howling wolves kick the energy of this game as high as the plains they roam. Hit the two wolves with a win in the main game and get a 5X multiplier. Nail down 4 or 5 golden horseshoes and trigger the Prairie Thunder Free Game Bonus. Multiple retriggers are possible during Free Games as well as a galloping 81X multiplier! When 4 or 5 horseshoe symbols are hit in the base game, 8 or 15 free games are awarded respectively. When 3, 4 or 5 horseshoe symbols are hit during free games, 4, 8 or 15 additional free games are awarded respectively. There is no limit to the number of free games that may be retriggered. All free games are played at the same bet and spot level that triggered the bonus. During the free games, 4 multiplier mountain symbols are randomly placed on non-player-marked-spots. When multipliers are hit, there is a random weighted drawing for each hit symbol’s multiplier value (either 2x or 3x). The weightings are determined by the number of player-picked-spots. The maximum multiplier possibility is 81x the bet (3 x 3 x 3 x 3 = 81). 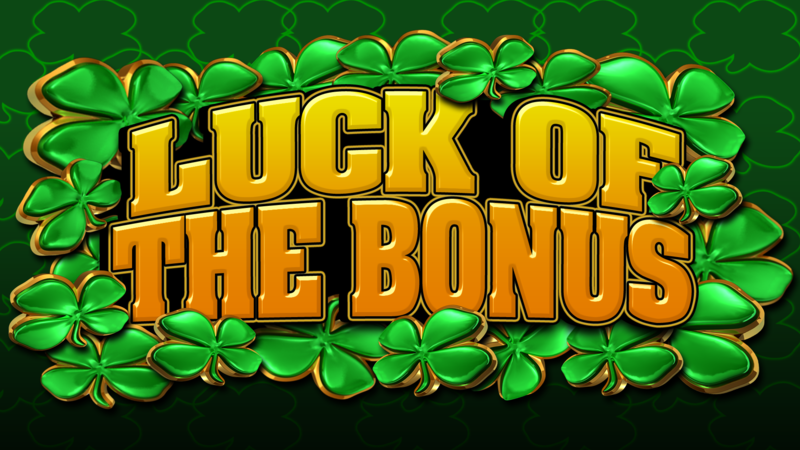 With Luck of the Bonus Keno tis’ your Lucky Day! The green is showing all about you with lucky symbols galore! Hit 3 of these lucky symbols (Ye can choose yer favorite) and you’ll be rewarded with 8 player paid games (a win is not needed) with a multiplier that you select. These Lucky games are guaranteed to be winners! Can’t believe it can ye? Well it is and as true as the nose on yer fine face! 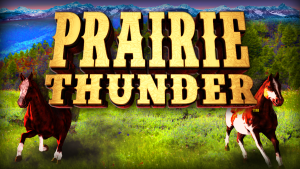 Ancient Thunder™, Jungle Treasure™ and Last Blast Keno™ , Tropical Vacation™, Prairie Thunder™, and Luck of Bonus™ licensed by Grand Vision Gaming.